1st half thoughts: I said the Rams will play a complete game from start to finish. So far they’ve played a complete half. Now let’s go and play another complete half and put another win in the books. I guess by the 4th quarter we will play with the bench and rest the starter for the next game. We're running the ball in the red zone today. What’s up with Gurley??? Why is he in the locker room??? He looked fine running off. Not sure what’s going on. Well, that was a easy win ! Against the Chargers it will be harder. Complete game for the Rams. The only nitpick I can have is that Goff threw that pick and took a sack rolling out of the pocket. Both times he shouldve just thrown the ball away. Also Goff missed a wide open Woods in the endzone for an easy td. 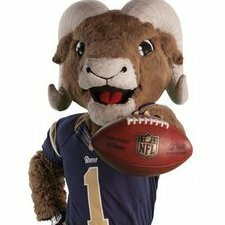 Outside of those three things I saw, the Rams played a perfect game. Now lets go take on the Chargers next week so we can show them who is truly the king of LA. Rams put in work. 3-3 on 2 point conversions too. I'm actually interested to see how McVay gameplans for Derwin James. Chargers can be passed on, they can definitely be run on, and our special teams vs their special teams is like the Monstars vs Porky Pig and Granny. We're likely going to avoid Bosa, but (and maybe I'm just remembering wrong) haven't we seen NRC have some issues with "bodying-type" receivers in the slot? Whether it's Keenan Allen or Mike Williams, one of them will be there consistently. Our DL is likely going to eat though. Gordon goes down at first contact with amazing consistency (and may be coming in nursing a knee injury), and while Pouncey is definitely an improvement for them at center, Feeney and Schoefield are the starting guards right now (Lamp has yet to play a regular season snap) and where they struggle is where Donald, Brockers, and Suh all excel. Good game to throw Lamp to the wolves. I think NRC does well against bigger WRs. He's sticky in coverage with them. IIRC, the games in 2017 where he was a little less effective were against Edelman types (short and very shifty).